Municipal elections were held in late November 2013; and presidential, parliamentary and regional assembly elections will be held on October 15 next year. Violent flare-ups between the ruling party Frelimo and the opposition Renamo in recent months have led to fears that the civil war which ravaged Mozambique from 1975 to 1992 may be rekindled. Conservationists in northern Mozambique, where an average of three to four elephants are being poached a day, have implicated local authorities in the killing spree. Rangers say the weapons used include helicopters and heavy-calibre guns normally used by military forces. 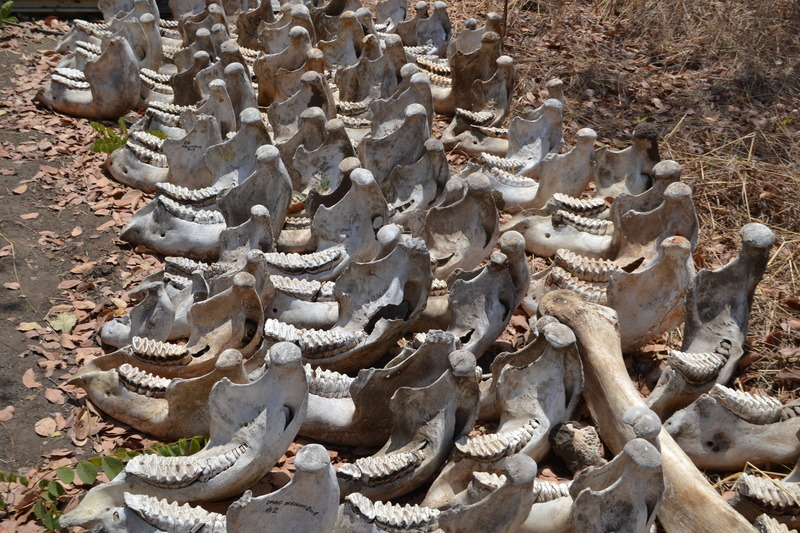 In Niassa National Reserve, where elephant numbers have dropped from more than 20,000 in 2009 to about 9,000 earlier this year, Frelimo has been accused of using the proceeds of ivory sales to fund its 10th anniversary congress in nearby Pemba last year. António Frangoulis, a criminologist at Eduardo Mondlane University in Maputo and a former Frelimo luminary, said he had received reports from various sources claiming that local authorities were conniving in the poaching and that military weapons were being used. “We are talking about weapons normally used by the police and military forces,” he said. “We are talking about the involvement of official authorities.” Frangoulis was a member of parliament and head of the Mozambican police investigative division until he was sacked in 2009 for criticising Frelimo. Alastair Nelson, director of the Wildlife Conservation Society in Mozambique, said the proceeds from ivory, which is smuggled via the nearby port of Pemba or across the border into Tanzania, were fuelling corruption in northern Mozambique. Many of the armed skirmishes between Frelimo and Renamo in recent months have occurred in the northern regions of the country. Renamo, which has pulled out of the elections and been on the run since the army attacked its military base in early July, has not been directly linked to ivory smuggling.